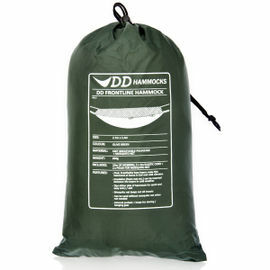 The DD XL Frontline Hammock is the largest hammock in the range from DD. 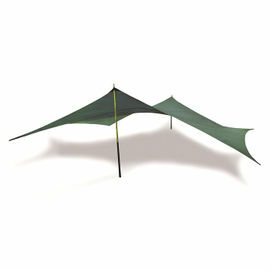 It offers the same breathable base and ultra-fine bug netting as the regular Frontline but features full curved spreader poles to create a tunnel effect and maximise the benefit of the extra floor width. 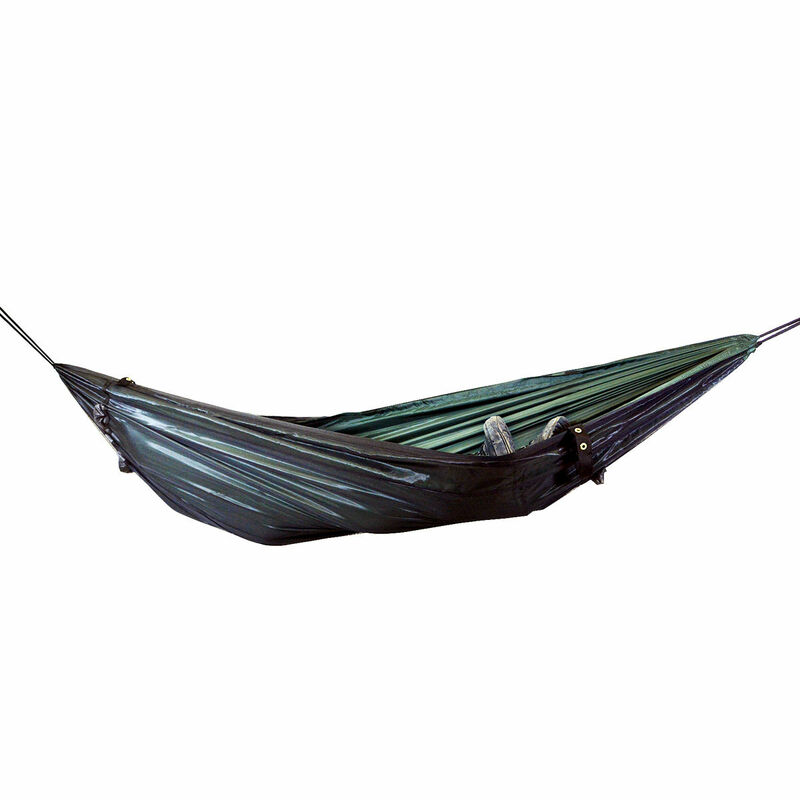 With its breathable base the XL Frontline Hammock performs well in a variety of climates, including the jungle. 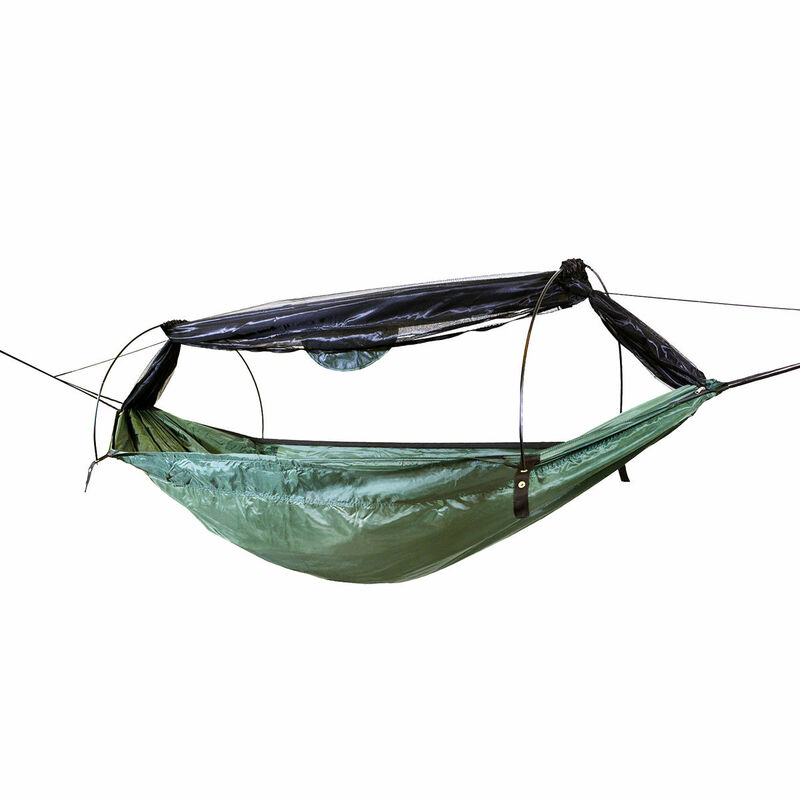 This is the best hammock for taller campers, or just an extra spacious and comfortable night wherever you are. 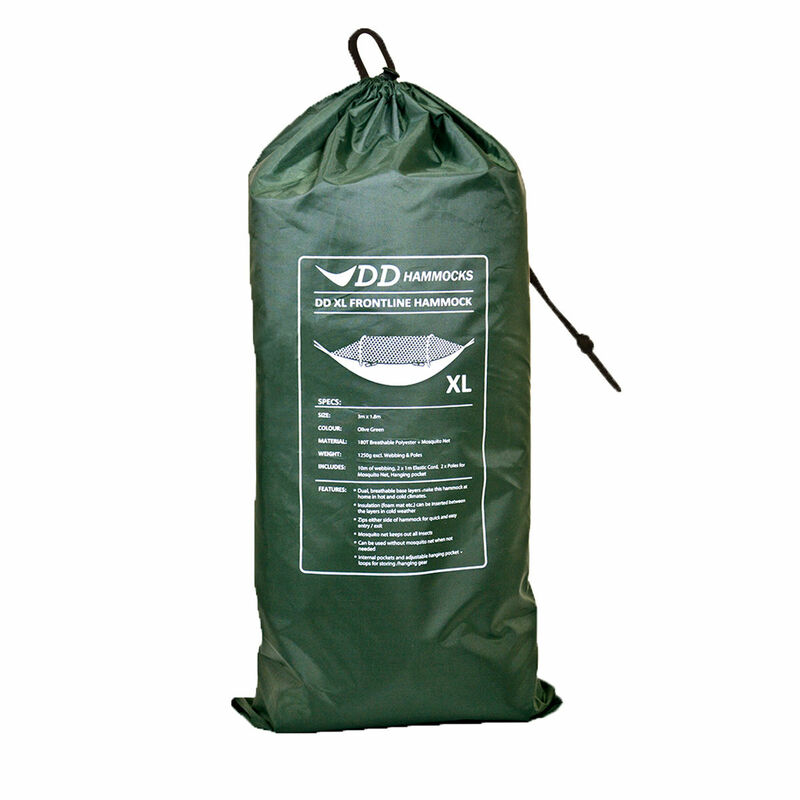 Sleep 100% bug-free with the Frontline's ultra-fine built-in mesh insect net zipped up, or simply unzip both sides and roll up to secure out of the way. 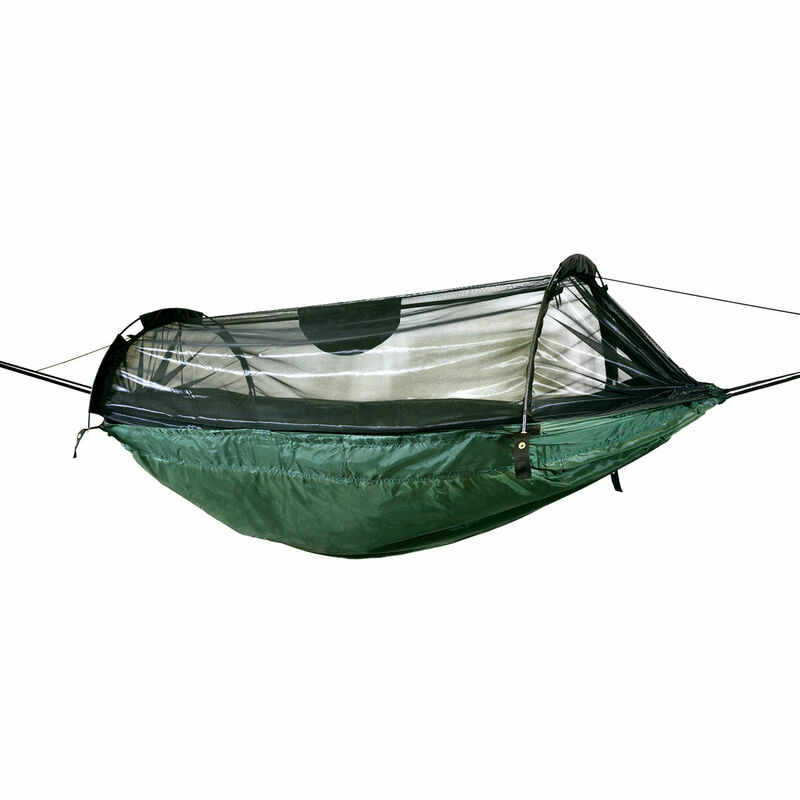 Alternatively, suspend the hammock with the net on the bottom to lounge out in the sun! 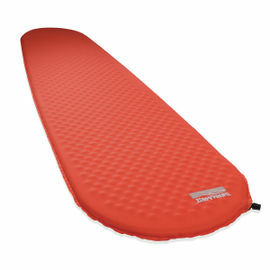 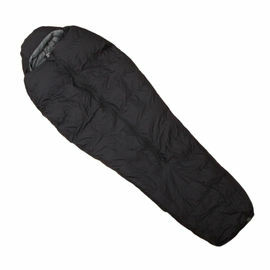 The clever breathable, double-layered design with velcro tab closure means that you can lie between the layers to cocoon yourself, or insert a partially-inflated inflatable sleeping mat between the layers in cooler weather.